Network memberships: In Continental Europe, Cuatrecasas have developed a non-exclusive network with three other leading law firms: Chiomenti in Italy, Gide in France and Gleiss Lutz in Germany. Cuatrecasas is a leading Iberian law firm with its main offices in Portugal and Spain and international presence in 10 other countries. We are nearly 1.000 lawyers in 27 offices worldwide, organized by legal practice areas and multidisciplinary teams with expertise in specific commercial and industrial sectors. 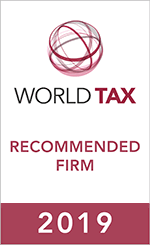 In Portugal we have offices in Lisbon and Porto and a total of over 140 lawyers.